The University of Hawai‘i System, and the University of Hawai‘i at Hilo in particular, have benefited from the Native Hawaiian Education Act. Under this program, our faculty have developed programs that benefit Native Hawaiian students throughout the state. Programs such as Na Pua No‘eau and the indigenous teacher preparation programs have been very effective. There remains, however, considerable work to do to ensure that Native Hawaiian children have access to an effective and responsive educational system. Continuation of the native Hawaiian Education Act will ensure that we are able to develop and provide the education that our citizens require. Thank you for the opportunity to testify on this measure. HONOLULU – At its monthly meeting held yesterday at Honolulu Community College, the University of Hawaiʻi Board of Regents approved the bachelor of arts in pharmacy studies and the doctorate in pharmaceutical sciences as provisional programs to be administered by the College of Pharmacy at the University of Hawai‘i at Hilo, effective fall 2011. The UH Hilo College of Pharmacy currently offers a curriculum leading to the doctor of pharmacy (PharmD) with the first class of student pharmacists scheduled to graduate in May 2011. The addition of the bachelor of arts in pharmacy studies (BAPS) will give the College of Pharmacy an additional advantage over programs that do not offer such a degree and will make the program even more attractive to applicants. Implementation of the doctorate in pharmaceutical sciences will also give the College of Pharmacy a distinct competitive advantage through research excellence and prepare graduates to be scientists with extensive skills in research design, techniques and methodologies. The BAPS degree is designed for students enrolled in the PharmD program at the UH Hilo College of Pharmacy. Students who enter the PharmD program at UH Hilo are required to have met pre-pharmacy requirements, but they are not required to have earned a bachelor’s degree. The PharmD curriculum is rigorous and requires four years of studies, surpassing the requirements of a bachelor’s level degree. By providing the BAPS degree option, students will have the opportunity to have their academic achievements properly recognized. The program supports the Hawai‘i Graduation Initiative of the UH System, which aims to increase the number of UH graduates by 25 percent by 2015. The degree offering will also increase UH Hilo retention rates, as students who participate in the pre-pharmacy program will earn a bachelor’s degree. The doctorate in pharmaceutical sciences will be the first program of this type to be offered by the University of Hawai‘i, and the only program of this nature to be offered in the state of Hawai‘i and the Pacific region. It will significantly elevate the culture of research, development and technology transfer in the pharmaceutical sciences, with an emphasis on natural products discovery and development and their importance in pharmacy and healthcare in general. This effort is consistent with the UH System’s focus on workforce development and research innovation in contribution to Hawai‘i’s overall economic future. “Not only will residents of Hawai‘i be able to earn a doctorate in pharmaceutical science without leaving the state, but we will also be able to attract scholars from the mainland and abroad with unparalleled opportunities. The economic and intellectual benefits to the state reach far beyond our imagination at this point,” said Pezzuto. I’m pleased to report Dr. Kenith Simmons’s appointment as University of Hawai‘i at Hilo’s interim vice chancellor for academic affairs is now official. 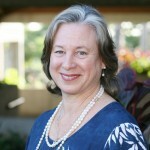 Dr. Simmons came to UH Hilo in 1979, after receiving her PhD in English literature from the University of Wisconsin. 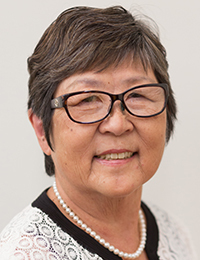 She joined UH Hilo’s Department of English as a contemporary literature and film specialist with considerable experience in teaching English as a second language. Dr. Simmons’s scholarly work includes numerous publications related to film and contemporary literature. For the past fifteen years she has devoted her creative time to the writing of poetry. Well represented in Hawai‘i literary publications, her work has also appeared nationally and internationally in poetry journals and anthologies. Since the early 1990s, in addition to continuing to teach, she has served in administrative positions, including chairing the English department and the women’s studies and honors program steering committees. She was humanities division chair for nine years and was the first assistant dean of the College of Arts and Sciences and the first assistant vice chancellor for administrative affairs. An active member of the community, Simmons has served as vice president of the Hawai‘i Concert Society and as a board member of the Hawai‘i Literary Arts Council. She is also a mediator with Kuikahi Mediation Center. Dr. Simmons received the UH Board of Regents’ Award for Excellence in Teaching in 1984.